In my last blog post, I examined aspects of remote management with Windows 2012 R2 where the server to be managed (the target server) was running Windows 2012 R2. In this blog post, I'll take a look at managing "down-level" servers, in particular Windows 2008 R2, with Server Manager. Unlike Windows 2008/R2 (but like Windows 2012), WinRM and remote PowerShell are enabled by default. Of course, the administrator must still authenticate to the remote server before executing commands. The execution policy for PowerShell scripts is set to RemoteSigned (by default) in Windows 2012 R2. The default setting for all other recent Windows operating systems, including Windows 8.1, 8.0, 7, and even 2012 (server), is Restricted. In the lines that follow, I'll demonstrate how we can add down-level servers to Server Manager, some the the problems we may encounter, and some troubleshooting. I'll dissect what this command accomplishes by attempting to add a Windows 2008 R2 server to Server Manager without running it first. 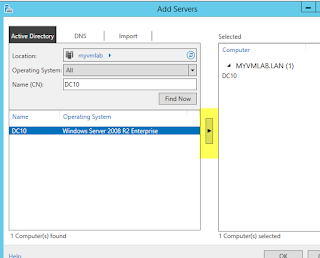 SVR1: the Windows 2012 R2 server with Server Manager. However, we have an error. 1. Server Manager uses WinRM. 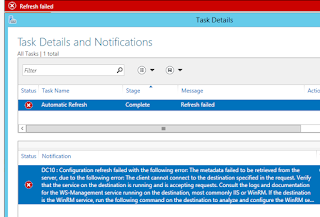 Is the WinRM service started? 2. What about firewall rules? Get-NetFirewallRule : The term 'Get-NetFirewallRule' is not recognized as the name of a cmdlet, function, script file, or operable program. No, the rule is not enabled. 3. Has a WinRM listener been configured? 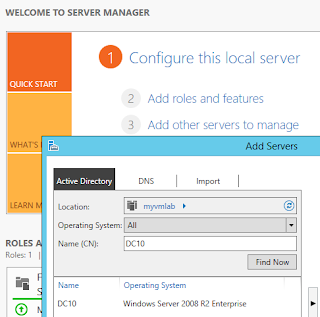 Once we have completed all the steps above, we can manage the down-level target server with Server Manager. I would like to share with you my experience, I went to www.vanskeys.com to buy a key, to my surprise, their attitude is very good, but the key work is normal, there is very little money I spent, very happy the first purchase and recommend it to you.